It seems that my Delta international flight is now arriving in T4, changed from T3. Is this a good thing? How is the customs & immigration at T4? And how is the connection to the AirTrain from T4? According to Delta app, I'm landing in Terminal 4 Monday but flying out internationally Terminal 2 (1hr8min). 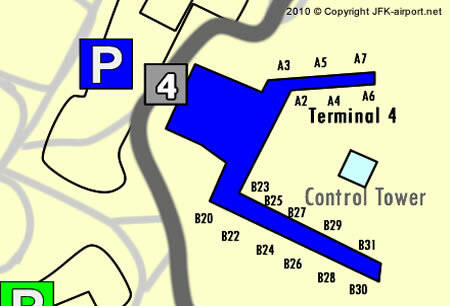 Is there still a shuttle bus that bypasses security to transfer to Terminal 2 from Terminal 4. Yes if your both flights are on Delta. Is Terminal 4 where I go to retrieve my boarding pass and check in my luggage? Are the international and domestic terminals seperate? Or is all of JFK a massive international Airport and La Guardia is domestic only? When I land in La Guardia will I retrieve my checked in luggage there or do the Airports automatically transport my baggage to JFK? I have a Carnet that I need to get stamped when leaving JFK, I will be flying with Virgin Atlantic to london Heathrow. please can you tell me where the customs office is in relation the Virgin Check-in Desk. also what hours the customs office is open. I'm flying to Warsaw, Poland on LOT airlines tonight 22.55pm. I will have one extra piece of luggage over the quota. Is it payable at the checkin or somwhere else? Where? At the check in desk at Terminal 4. Hi, I will be reaching terminal 8 at 2050 and have to take a connecting international flight from terminal 4 at 2230. Is the time sufficient for travelling from terminal 8 to 4 and boarding. Hello, I am taking an AA flight that is due to arrive 7:10 am, terminal 8 on Sun. May 6. I need to be at the El Al Ticket counter in terminal 4 by 8:40 am. Will I have enough time? What is the best way to handle this? How long do you usually have to wait for lugguage at terminal 8? Thanks so much! You should have enough time. You should have enough time. If your first flight is domestic your bags should be clipped to final destination if not you will need to pick up your bags and check them through Customs. You would have to wait up to 30 minutes for your luggage. After clearing Customs there are carts.